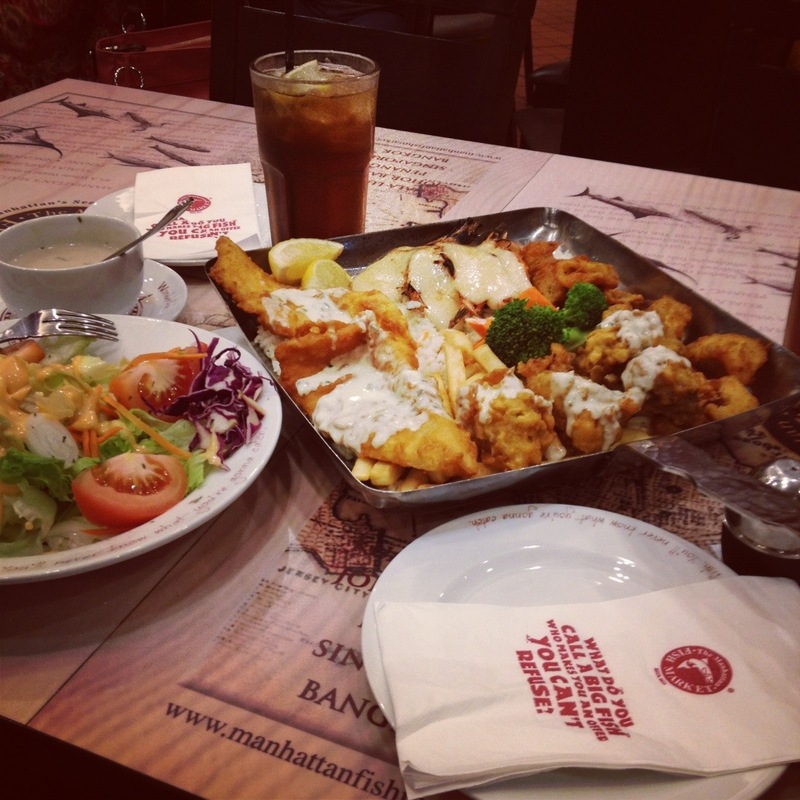 Manhattan fish market is one of the famous seafood restaurant in Malaysia. 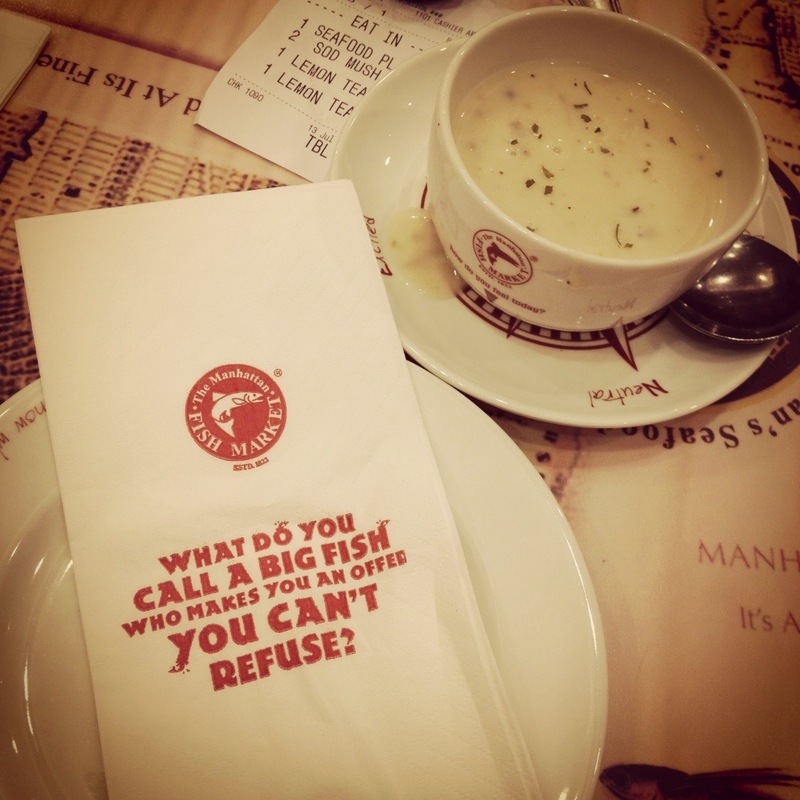 They serve some seafood dish, like prawn, dori fish, oyster and others. My favourite dish in here is called “Seafood Platter” it has Prawn, Dori fish, fried calamary, butter rice, and fries, and of course it has vegies as well. Oh ya, if you take the packet from them, you will get 2 complementary soup and salad as well. The soup is quite nice for the appetizer, and the salad is fresh as well. For the price, is not that pricy, and reasonable. We spent around RM60 for both of us, so it’s around RM30 per person including free flow drink.